← SCIENTISTS PROVE EARTH IS NOT A GLOBE!!! CHECKMATE!! Interesting that they are teaching the coarse on Flat Earth. I guess they want to control all the narratives anyway they can. This all depends on whose version of history you believe. There are many revisionists today. I choose to believe historians that aren’t antagonistic toward the Bible. 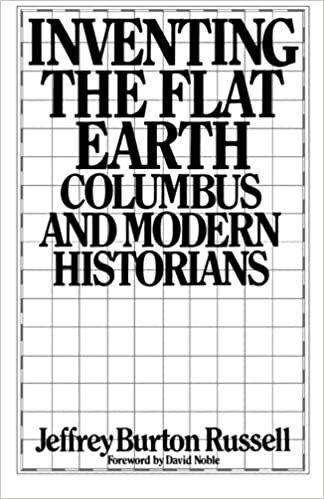 As for Mr Burton Russell, he should know better; left to God’s written word alone, we could only ever know the Earth to be flat, or rather, that it is not a spinning globe.